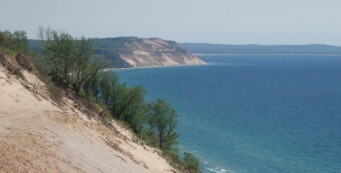 Are you looking for a Traverse City vacation rental? Our Michigan vacation resort in Traverse City, Michigan is sure to please you with the wonderful amenities that it offers. We hope you will find our Michigan resort to be one of the finest vacation rentals in Traverse City. 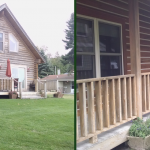 Come stay with us and enjoy the pleasures of a Michigan log cabin vacation. 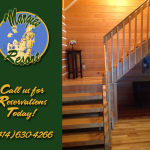 Margie's Resort is located on beautiful Lake Leelanau. 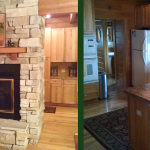 It offers a luxurious log cabin rental perfect for a Traverse City family vacation. This spacious 2- story, Michigan vacation rental is close enough for many urban conveniences, but far enough away for a wonderful relaxing atmosphere. Our Michigan resort features three large bedrooms, (which can sleep up to 12 people), 2 ½ baths, a great room with fireplace, a laundry room, kitchen, and is equipped with high speed internet access just to name a few of the amenities. 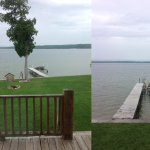 This fabulous Traverse City waterfront rental is a wonderful Michigan vacation destination, and is available year round. 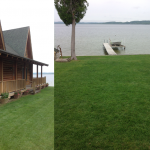 A large backyard and a 40' dock with a 14' Alumacraft row boat, are provided with your Lake Leelanau vacation rental. The Lower level is wheelchair accessible, and Pets are welcome. 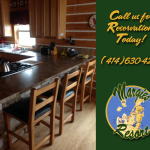 Margie's Resort has many different options on hand to meet almost any ones needs for fun. Beyond the enjoyment of sunbathing and swimming our Traverse City vacation home also offers access to Jet Ski's, pontoon boats and a Master Craft Ski boat for rent, upon request. 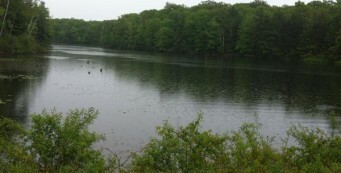 There is also a paved trail (former Railroad Track) for biking, roller-blading and walking, located just down the road. 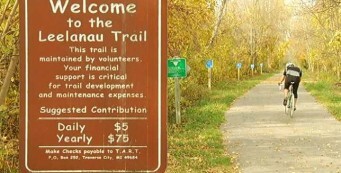 The trail is paved all the way to Traverse City to the South, and a dirt trail extending over 8 miles to the North. Great fun and exercise for the whole family! We have specials available now ask us how to save on your next vacation to Traverse City! Call 414-630-4266 and book your vacation getaway today.